If you have the dollar store called "Five Below" close by to you (a couple of them just opened near us here in CT) you might want to head there ASAP. 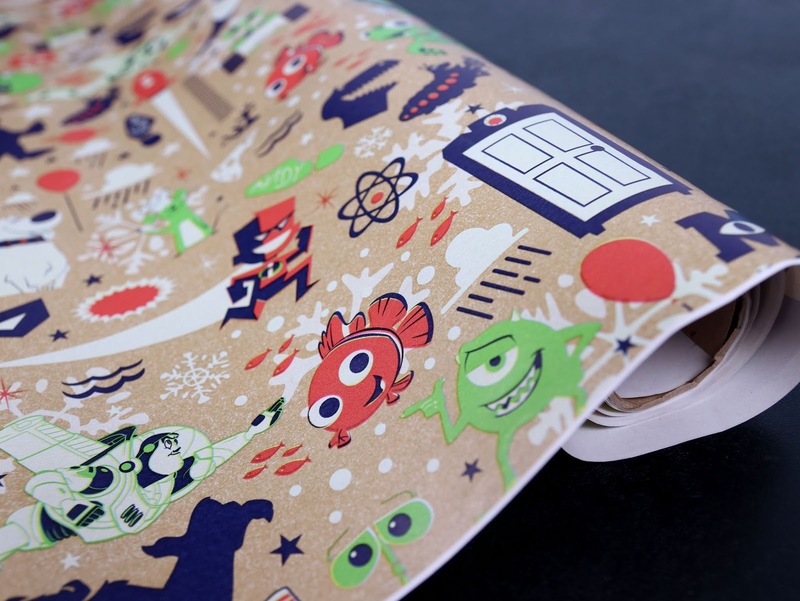 Check out this FANTASTIC Pixar holiday gift wrap I just picked up there tonight for only $3! I love this minimalistic stylized art. In fact, these designs seem to stem from the same artist that did the graphics featured on my fave Pixar beach towel I picked up from Kolh's a couple years ago (seen HERE). Some of the characters are even exactly the same, with some great new additions thrown in as well. I wish I knew who it was! 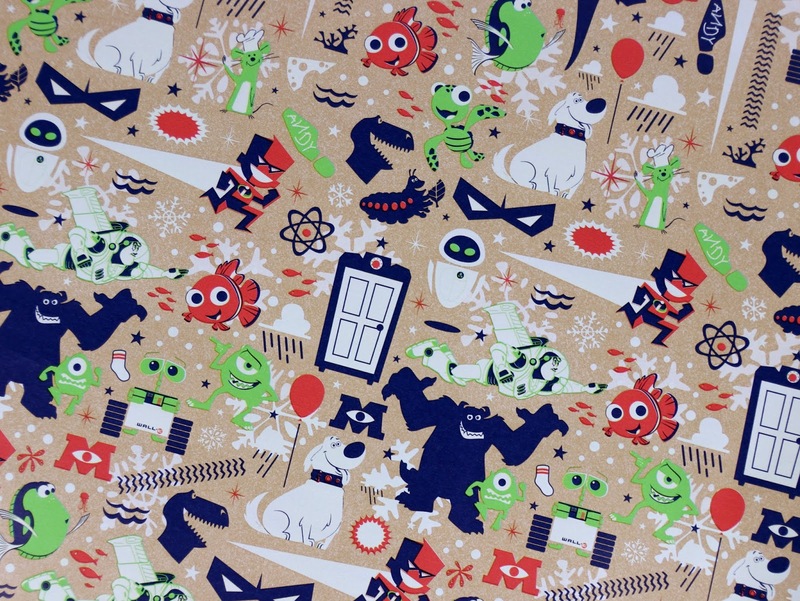 This art always seems to show up on obscure products from random stores, but heck, it's cool enough that I'd actually like a print of this hanging up on my wall honestly.